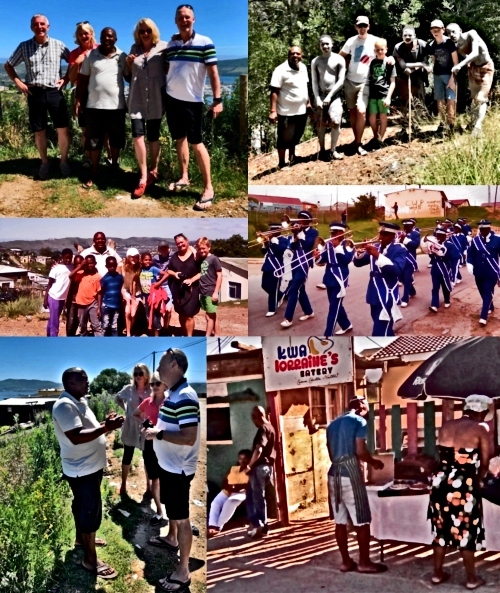 Gerald Sigcu has been conducting various township visits to Concordia, Hornlee, Damsebos, Khayalethu, Bongani, Joodsekamp and White Location in the Knysna area since 2005. 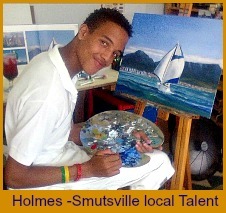 Growing up in the Garden Route and only leaving to do his high school education in King Williams Town, he is a well-known figure and familiar with all aspects of the local scene. 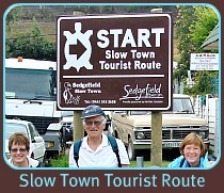 Whatever you would like to explore of the daily life in our townships from the crèches and schools, to youth centres, churches, crafts, projects such as the women’s sewing circle and disabled workshops, or ritual feasts, Gerald will be able to provide an interesting and insightful 2-3 hr tour. 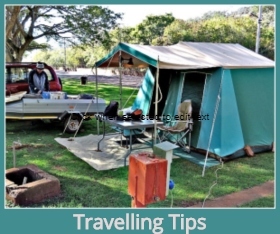 An optional stop at a regular shebeen, an informal pub-style gathering place for the community to relax over a drink and something to eat is also on the cards and will introduce you to the buzz of the local people. Gerald is very flexible and will tailor the tour to suit your interests. 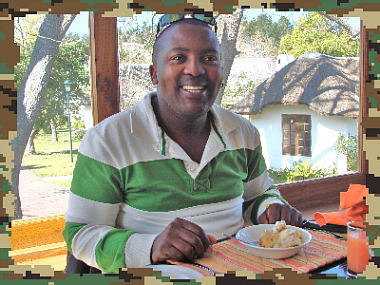 Living in Concordia with a family of his own, he is also able to invite you to share a regular evening meal at home with him and his wife and two children, a boy of 10 years (and keen soccer player) and a girl of 5 years, for an inside peak at everyday family life in a Xhosa home. 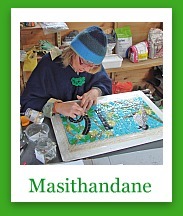 Post: P.O.Box 1444, Knysna, 6570. 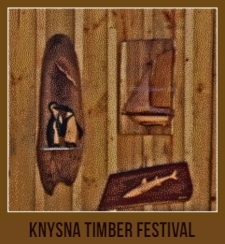 Prices :Adults ZAR400-00 pp. Children under 12 - half price. Gerald is also initiating "Pen-friends", an opportunity for township children to correspond with other children around the world. It will enable African children to learn about their counterparts in other places and improve their writing and language skills. 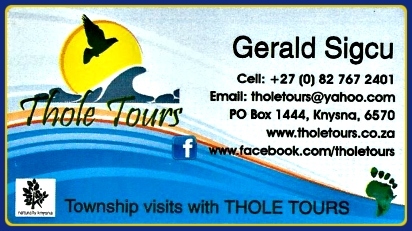 Contact Gerald to establish a township pen-friend.